One thing is for sure with the 2008 Detroit Tigers, they’ll hit. The 2007 Tigers finished in 2nd place in the AL Central division, with an 88-74 record. If their starting rotation can hold up, you can bet Detroit will give the Cleveland Indians a run for their money this season. Following last year’s playoff run, the Cleveland Indians are back and looking to overcome the Detroit Tigers and win the AL Central division. That may be a tall order considering the Tigers’ starting lineup this year, but the Indians may have the tools to make it competitive this season. After trading away Johan Santana and Matt Garza in the off-season, the Minnesota Twins clearly showed that their in a rebuilding phase from 2008 on. However that doesn’t neccesarily make the Twins a bad team this season; what it does mean is that the Twins will really have to rely on getting some bang for their buck to compete in such a talented division. The Kansas City Royals will have to prove their worth in 2008. New no-nonsense manager Trey Hillman said earlier this off-season, “I do know this, you cannot win a championship without the expectation of winning it.” Though a championship in this decade isn’t realistic for Kansas City, 2008 may present the team with its first opportunity to finish at .500 or above since 2003. With the 2008 baseball season beginning, many fans would see the name, “Chris Coste,” on the depth chart of the Philadelphia Phillies and think that he was just a warm body to back up starting catcher Carlos Ruiz. What they wouldn’t see is that Coste endured an 11 year minor league career to get where he is today. 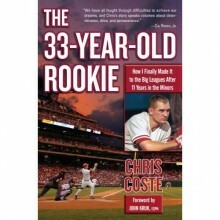 That’s why Chris Coste released this self-written book, to share his experiences in professional baseball before reaching the big leagues. Moving on from the AL East in our MLB team previews, the Chicago White Sox will be the next team to be evaluated. The White Sox, in the AL Central Division, went 72-90 last season finishing in 4th place. Will manager Ozzie Guillen and the White Sox rebound from their down 2007 season and return to the same form as the team that finished at .500 or better for 7 consecutive seasons? Read on. 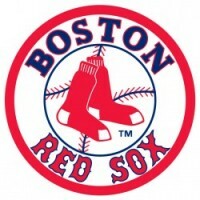 The time has arrived to preview the 2008 defending World Series champion Boston Red Sox. Over the off-season the Red Sox made few moves, and who could blame them? The Bo-Sox finished 2007 with 96 wins and 66 losses, with a team batting average of .279 and a 3.87 team ERA. Boston will enter 2008 with the same batting order and starting rotation, it’ll be up to the rest of the American League to prove to be up to the task of dethroning the Red Sox. Next up in our MLB team previews are the Bronx Bombers themselves, the New York Yankees. The Yankees have won more championships than any other team in the history of sports (26), but haven’t won one since 2000. Armed with new manager Joe Girardi, the Yanks will look to win number 27 in 2008. Next team up in our MLB Team previews is the Toronto Blue Jays. The last Jays team to finish in first place in the AL East had Joe Carter, Paul Molitor and Jack Morris. This occurred in 1993, and since then the Blue Jays have been stuck right in the middle of the AL East, finishing in 3rd place 9 of the last 14 years. 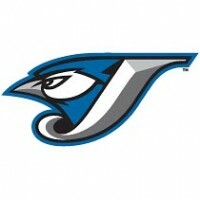 Will 2008 be the year of the Blue Jay? Read on. 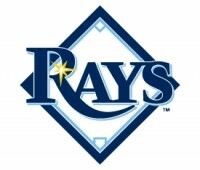 2nd Team up in our MLB team previews: the Tampa Bay Rays. In the off-season, Tampa proved that the name (Previously the Tampa Bay Devil Rays) wasn’t the only change of this expansion franchise. Though the Rays were unimpressive last season (66-96), Tampa may have a chance to make a bigger impact in 2008.